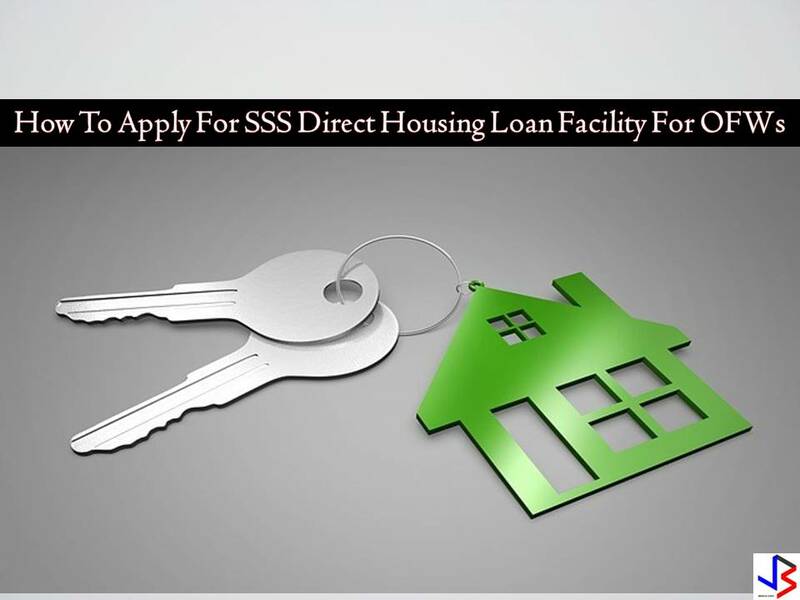 Applying for housing loan is not easy, there are so many requirements. In fact, there are many documents that has to be submitted in order to apply. 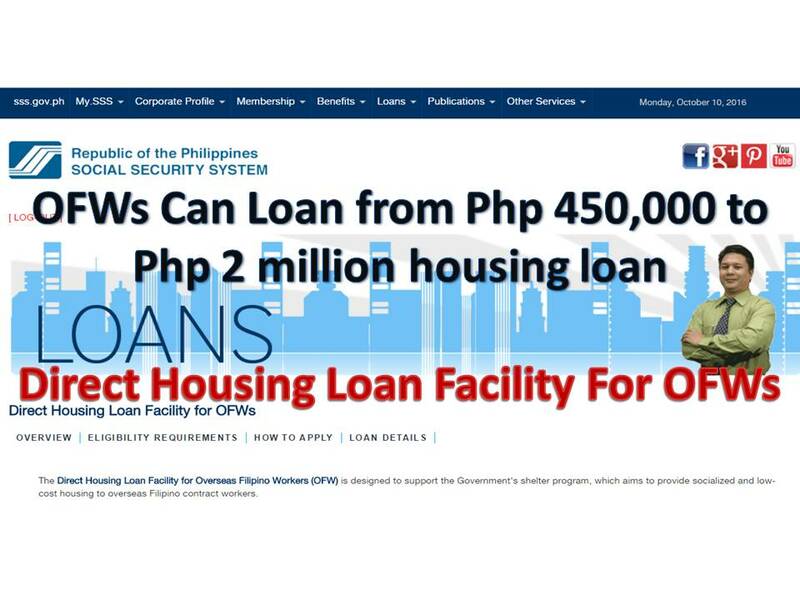 That loan requirements are actually the reason why many OFWs feel discouraged to apply. However, there are still loan programs that are specifically designed for OFWs or Overseas Filipino Workers. 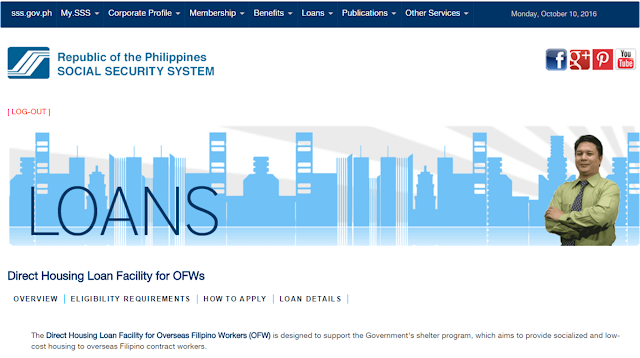 The Social Security System or SSS has a program called Direct Housing Loan Facility for Overseas Filipino Workers (OFW) it is designed to support the Government's shelter program,and to provide socialized and low-cost housing to overseas Filipino contract workers. The application process for this type of loan is designed to meet the documents that OFWs can produce. The only thing noticeable on this loan is that the interest rate is still high compared to the housing loans offered by private banks. The following are the loan details as provided by SSS. How Can An OFW Avail the Direct Housing Loan Facility for OFWs? Purchase of an existing residential unit which may be a house and lot, a condominium unit or a townhouse. A maximum of three (3) qualified SSS members may be tacked-in for a single loan up to the combined maximum individual availment for the loanable amount secured by the same collateral, provided they are related within the first (1st ) civil degree of consanguinity or affinity. Term of the LoanThe loan is payable in multiples of five (5) years up to a maximum of fifteen (15) years. The loan term shall not exceed the economic life of the building as determined by the SSS appraiser. The collateral for the loan is the Transfer Certificate Title/Original Certificate of Title/ Condominium Certificate of Title (TCT/OCT/CCT) issued by the Registry of Deeds in the name of the principal borrower free from liens and encumbrances. The loan shall be secured by a first Real Estate Mortgage (REM) on the house and lot to be financed. The REM shall be annotated on the member borrowers TCT/OCT/CCT and shall be registered with the appropriate Registry of Deeds. The loan shall also be covered by an HGC guaranty. In case the purpose of the loan is the purchase of residential condominium unit prior to actual construction (pre-selling), other residential property acceptable to SSS shall be submitted as collateral to secure the loan. The insurance premiums shall be shouldered by the borrower.